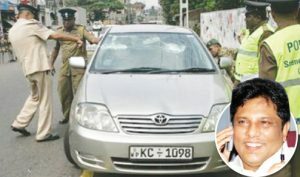 The founding editor of ‘Sunday Leader’ Lasantha Wickrematunge has been murdered by a gang of murderers from Tripoly Army Camp, Maradana, Colombo. 10 say reports. The investigations regarding the murder are being carried out on information received of a senior official of State Intelligence Service who had given the order for the murder with the knowledge of a higher official of the Defense Ministry. Statements have been recorded from a large number of people including members of SL Army while certain media reports that an Army officer who is aware of the murder has been appointed to a very high position in the SL Army. CID officers have recorded a statement from the daughter of Lasantha Wickrematunga. It is learnt that she had told the officers something Mr. Lasantha Wickrematunga had told her before he was murdered. Lasantha had told his daughter that he could be murdered and the reason for his murder would be his exposure of the MiG aircraft transaction.